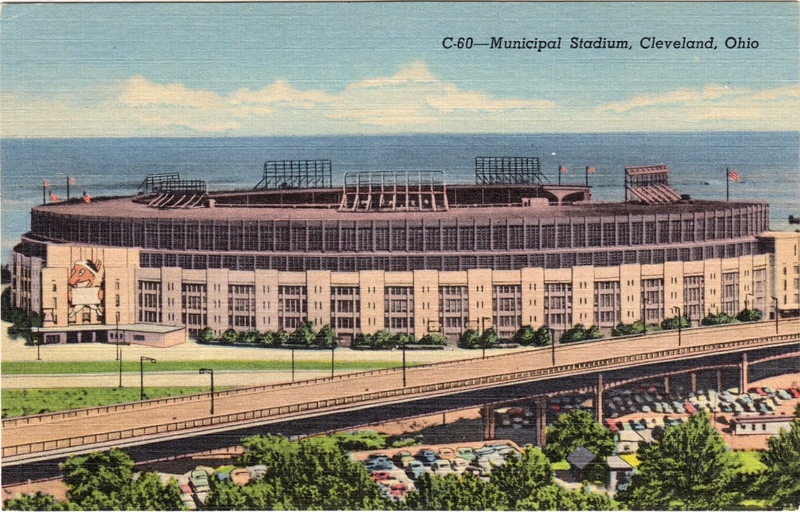 Outgoing postcard US-3202778 to Czech Republic was a vintage card showing the Municipal Stadium in Cleveland, Ohio, one of the early multi-purpose stadiums built in 1930. Opened on July 1, 1931, with a capacity for baseball of 78,000, it can also seated 81,000 for football. The stadium was closed on December 17, 1995 and demolished on November 4, 1996 to make way for the new FirstEnergy Stadium that currently occupies the site.